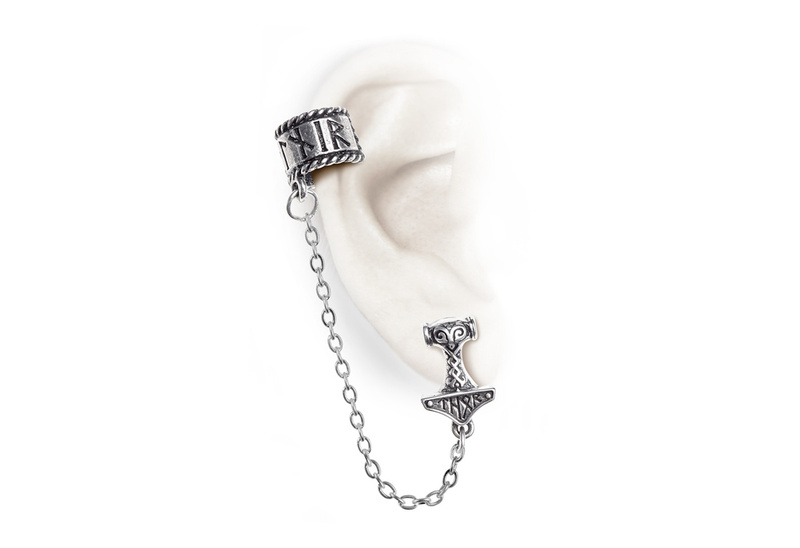 This single earring represents the intricate skills of the Norsemen jewel smiths. 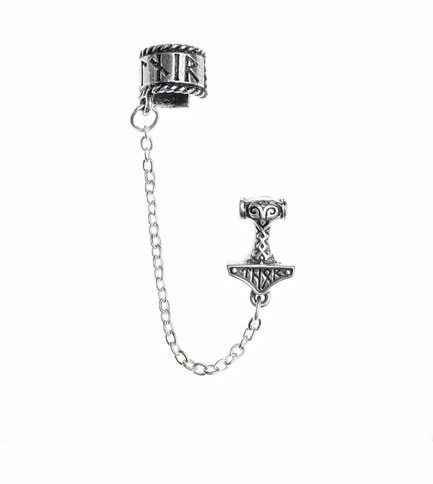 The miniature Thor hammer bears a runic inscription and has a shackle for a cuff with the word ‘Donner’ or thunder. 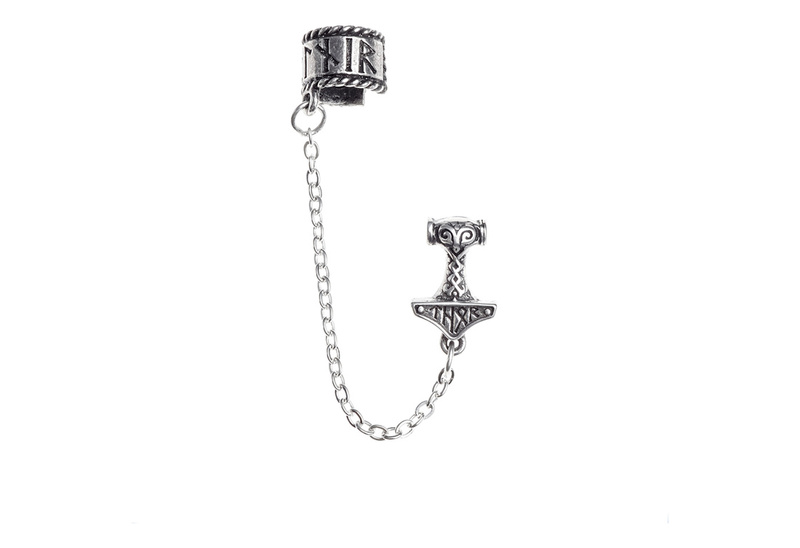 This piece measures 4.17 inches high, 0.51 inches wide and 0.63 inches deep. 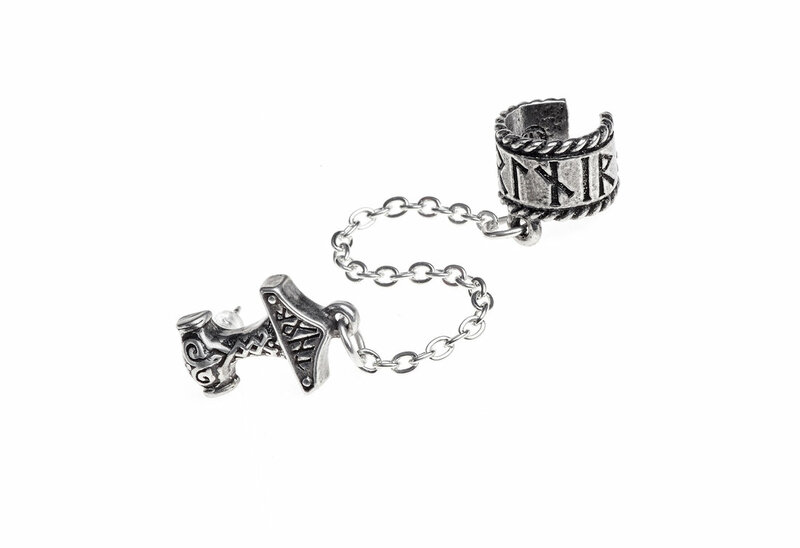 It is made of fine English pewter. By Gothic Alchemy.